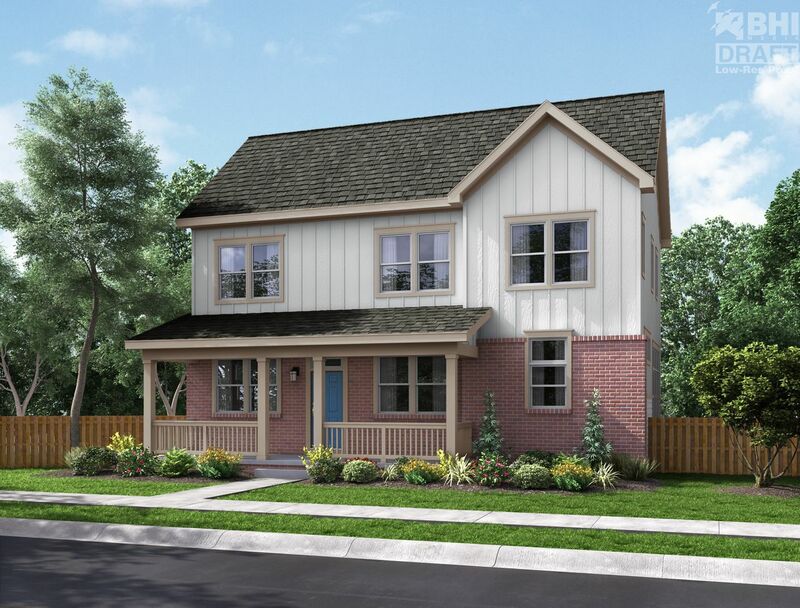 Two story, 3 to 5 Bedrooms, 2½ to 3¾ Baths - Main Floor Study, Kitchen with optional bay window opens to Great Room, Rear Family Foyer with desk, bench and storage. Coffered ceiling in Master Suite, 2 Secondary Bedrooms, and 2nd floor Laundry Room. 10 foot ceilings on 1st floor, 9 foot ceilings on 2nd floor. 9½ inch premium performance walls. Large covered Front Porch, 2-Car attached Garage with optional Garden Shed. Optional 656 sq.ft. Finished Basement with Recreation Room, Bedroom and Full Bath.